What is the 'IN' operator for if you can not create a list of legal values? Default value can only be one single value, even a sub-select will just be considered with the first returned value of the select. 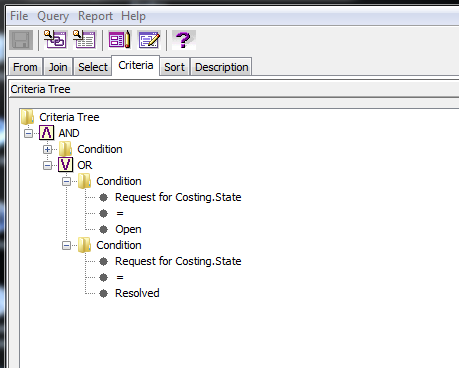 Business Case (here): confine the possible values selectable during report generation for objects attribute "State". In it you can find, as attachment, a presentation from PTC that, among other things, explain how to use more than one value for an attribute (see page 56 and following). Thx for your answer and the link. I knew this valuable resource for reporting alright. Thx for this. .... you end up with multiple lines in the report excluding each other, so not finding anything. And as described in my inital post using a sub-select only the first value will be considered in the report instead of all values returned by the sub-select. Before Windchill 10.0, one of the purposes of criteria was to obtain filters. This is no more necessary. From Windchill UI you can search an attribute more times with different value. 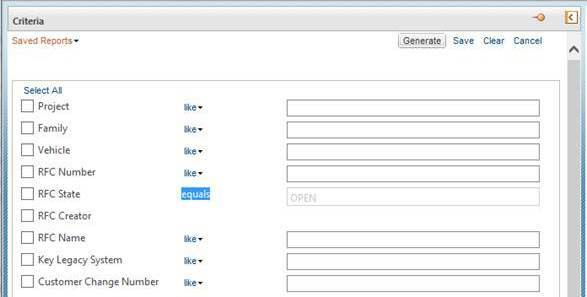 Try to do the same things with query builder by selecting the same attribute more than once.